Chris is a active, professional firefighter with over 20 years of experience in the Fire Service, currently leading Wildland Air Attack and ground based Fire Crews in Southern California. Chris’ passion for programming and coaching was birthed out of his desire to create effective and high-quality fitness programs for the arduous duties of Civil Service Athletes. Chris has been a training exclusively in Garage Gyms, at his home or Fire Dept facilities for over 12 years. Chris subsequently took EO3 Programming and Coaching courses and now specializes in preparing and training Civil Service Athletes for the arduous duties their career demands. As a current Wildland Training cadre member he is especially interested in helping out and physically preparing many of the young athletes that are striving to enter Civil Service careers. 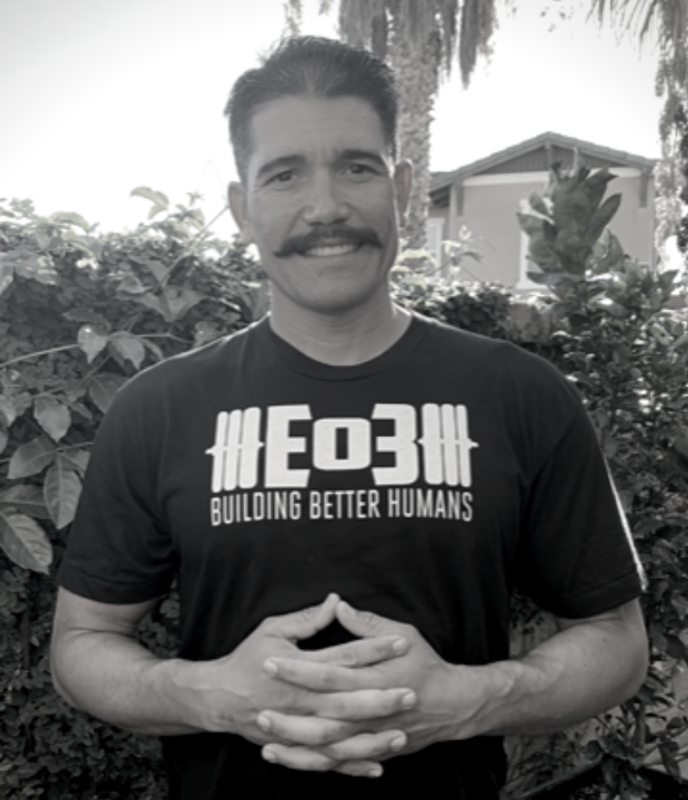 "Thanks to the methods I learned from EO3, I am now currently programming and coaching athletes that are interested in fitness that translates to becoming more functionally relevant for the demands of an arduous career or active lifestyle"